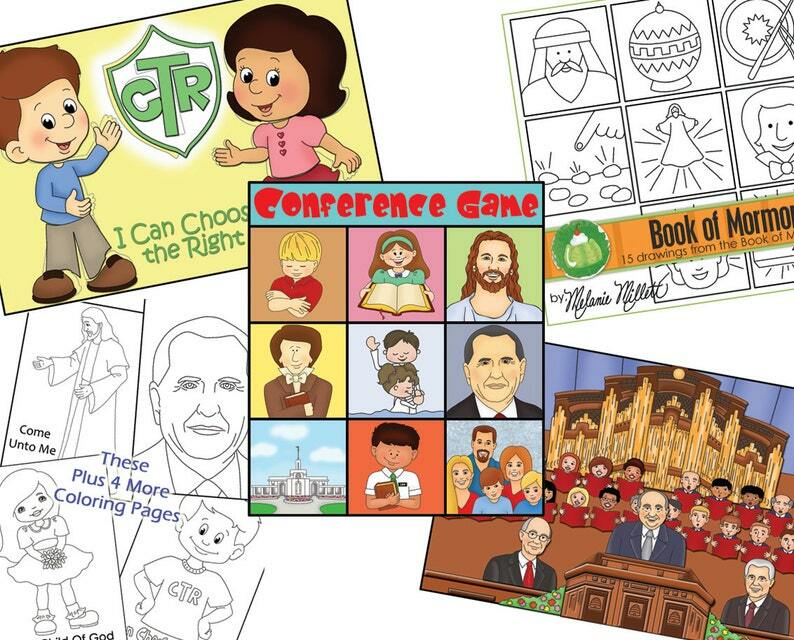 This is a General Conference Package your kids are sure to love. Included is the "I Can Choose the Right" file folder game, the "I Love General Conference" file folder Game, the "Conference Match" game, the "I Can Draw the Book of Mormon", and you also get an assortment of 8 coloring pages. This package is worth $9.00 in Green Jello with Carrots products, but you get it all for only $4.99! It all comes ready to print and cut out. Everything fits on an 8 1/2" x 11" sheet. There are instructions included on how to make it, and how to play with it. You can print them yourself, or take them to Walmart, Staples, or somewhere similar to have them printed. If you laminate the game or use clear contact paper it will last for years of enjoyment! These were perfect for what I needed, thank you!